My girlfriend at the time, Lauren, and I had just starting dating. One of our first dates was to go to Estes Park, CO a short drive from where we were going to school in Boulder, CO. Lauren suggested we go whitewater rafting after she had seen a sign on a guide shack. We walked inside and they told us if we ran to the high school a few blocks away we could catch the next bus out. In all the excitement we never got the chance to be nervous about the fact that neither one of us had ever been whitewater rafting. Lauren fell out about 30 seconds into our rafting journey after not having her foot tucked tightly enough, but the rest of the day was one of the most fun days we have ever had. We have made it a point to go whitewater rafting and to go enjoy the river every year. We have since rafted the Arkansas, the Colorado, the American River, and the Kern River. 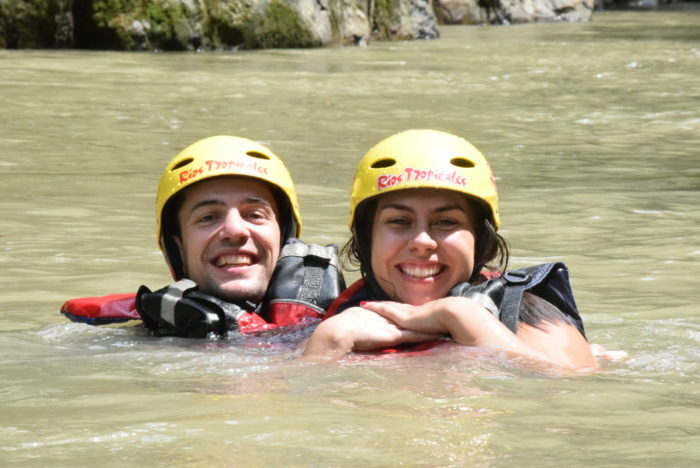 We were married last year and we got the chance to raft of the Pacuare River in Costa Rica for our honeymoon. Enjoying rivers all over the world is something that we have grown to love and want to protect together forever.